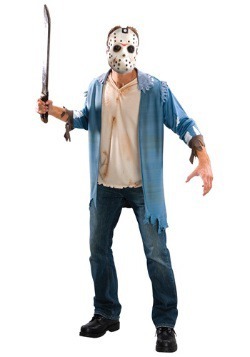 Dressing up as your favorite dream-haunting (and sleep-depriving) movie slasher is a lot harder than most people might think it is. 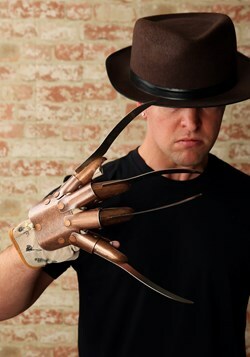 No, it's not because of the glove and the fedora –those are actually pretty easy to find (because we sell 'em!). Surprisingly, it's actually that trademark sweater of his! Because (and trust us on this one) you can't just walk into a Nordstrom (or even Nordstrom Rack) and ask for an old red and green, bloodstained, frayed sweatshirt. Heck, they'd totally call security on you if you tried to do that! 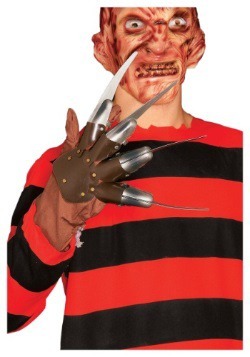 Luckily, you won't have to deal with that headache, or the challenge of putting together a perfect Freddy Krueger costume. 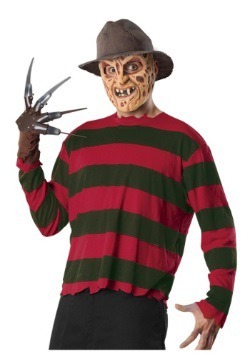 Because all you have to do is pull on this Adult Deluxe Freddy Sweater and you're good to go! 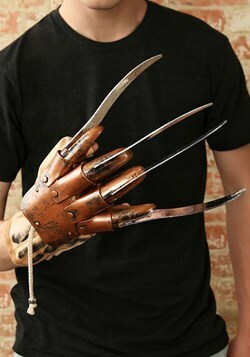 With this highly detailed item, you're going to be a huge hit as the bad guy (or hero, depending on your point of view) of the classic Nightmare on Elm Street series. Because there's a lot of imitators these days, but few that can boast movie-quality Freddy costumes. 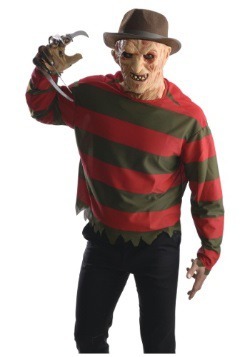 More than just some regular old sweatshirt that happens to match Freddy's infamous colors, this item looks like it came right out of Mr. Krueger's closet. 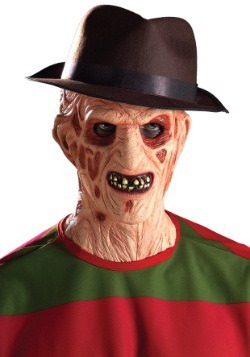 It's tattered, torn, and just the right amount of gross. 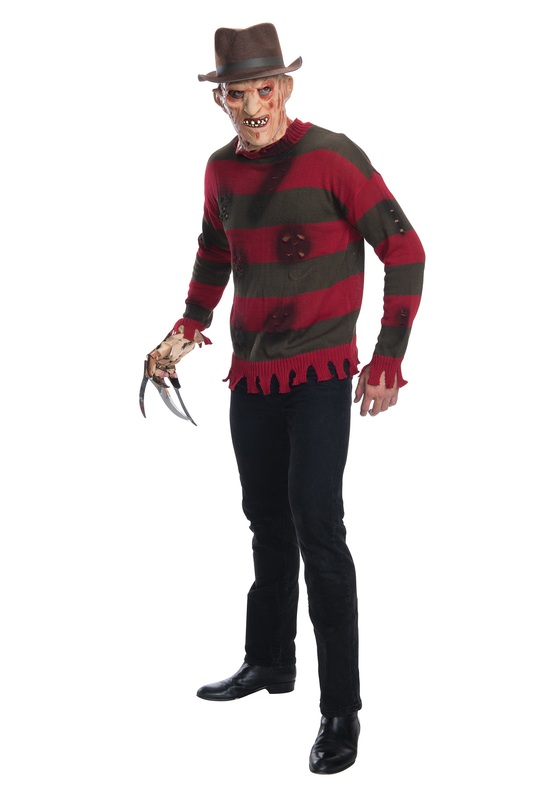 When paired with the iconic glove and a terrifying Freddy mask, this Adult Deluxe Freddy Sweater makes for the perfect finishing touch to a costume that any true Nightmare on Elm Street fan will find simply dreamy! 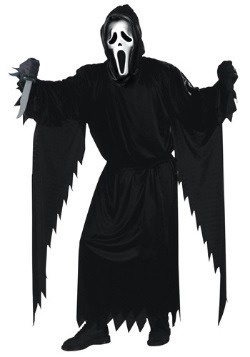 X-Small - $34.99 Only 1 left! Standard - $34.99 Only 1 left!